Another week has gone ... still hot ... still not much done with my playtime! Maybe I am losing my touch - a pattern has defeated me, now I wont talk too much about it! Now look here - I am going to make use of this little luxury to justify its existence. Here we are looking at the start of Converging Corners by Film in the Fridge with part directions on my Apple iPad. I am not sure about it yet, the iPad that is, and I am hoping the novelty wears off soon. I didn't get 3G, but SIL tells me I can use my Smartphone as a hotspot and has set up the iPad accordingly. I hope this isn't boring you too much - I am so enjoying stitching in the evenings. I have another applique project I am looking forward to doing, but I really must finish this first. 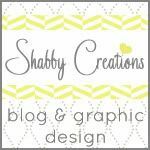 It has been an interesting week on Blogger - so much discussion about Pinterest! Please do the right thing by people who have made investments into their businesses - also courtesy is always appreciated. I must say that for me personally, I have no reason to get involved - my days of being published and judged are over. I would only spend the rewards on more fabric anyhow, lol! It is nice to know people get warmth and comfort sleeping under quilts I have made. Will the weather cool this week coming - I think not! Soon I will need to find out if I can still tackle weeds in the garden as David's time bobbing around the ocean has been extended. Enjoy your week whatever you do! 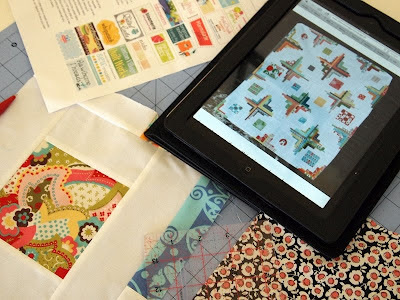 OH I just love how your quilting the elephant quilt, I am so enjoying watching your progress on this quilt. 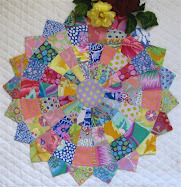 so tell us whats the next applique project!!!! Your elephants are looking gorgeous - dedication finishing one project before beginning another. Love the Elephant quilt and am always happy to see you have posted. I'm a cave woman when it comes to gadgets of the computer-ish kind. Hope all of them make things easier for you. :o) Still loving that elephant quilt. I justify my iPad by using it as a reader a whole lot. lol! DS also grabs it a lot to use at various times. I just love it! Love how your elephants are coming out - beautiful! Love the elephant quilt and hope the ipad make things easiest for you. 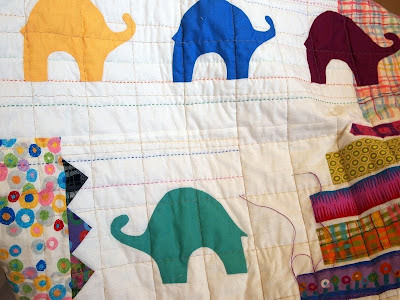 Your Elephant quilt is looking great with all the different coloured threads. My girlfriend brought her new ipad to my house last week and spent all afternoon on it using her iphone as a personal hotspot - it worked fine. I don't believe there's a pattern out there that could get the better of you my dear friend! And I know you'll work with the new technology with no dramas. Keep cool and get the grandkids to help with the garden! Hope to see you soon! Love the hand stitching on the elephant quilt, which is coming along very nicely. As you know, I've been following your progress quite closely! Pinterest is problematic. Anyway love your stuff. The elephant knocks my socks off. I'm loving your elephants Lurline, just gorgeous. the railway man bought himself an iPad and loves it, me I'm still not sure even though as you know I have every techno toy available, I just don't see the point when I can use my macbook or my iPhone and the fact that I can't actually put a usb into it bugs me...!! I'm interested to know what your final verdict is..? As it's Spring here, or should be :-) it's planting time, pups and planting ? ? ? They don't gell well......... There will always be a garden there somewhere under the holes !